In college and grad school, I knew several students who couldn't afford housing and "lived" in the student lounges (showering in the rec center) and one guy who pitched a tent in the hills near campus. 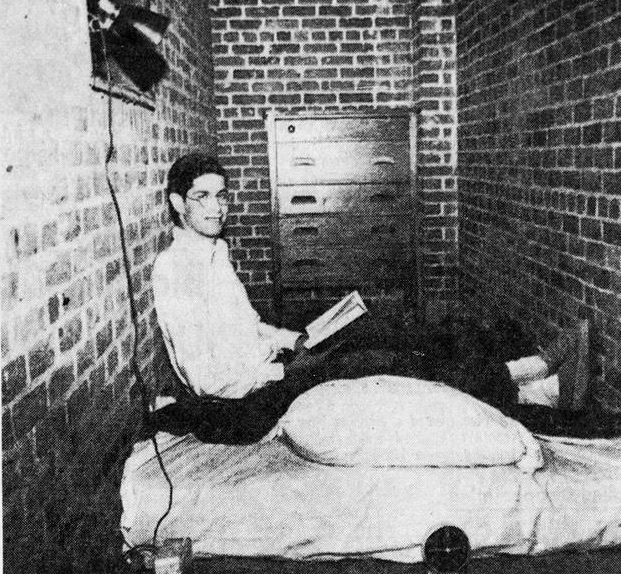 But this story of Allan Kornfeld who lived in a Yale ventilation shaft from 1963 to 1964 is the closest I've seen to Lazlo Hollyfeld's secret lair in the classic 1985 film Real Genius. Kornfeld had hidden the entrance to the ventilation shift by covering the entrance with brick-patterned wallpaper. He left his DIY dorm room after graduation and shared his story with the press. "It was a little cold," he said. More at Weird Universe: "Unauthorized dwelling at Yale"
There are more houses for sale in San Mateo County, Santa Clara County and San Francisco County than at any time since 2013; inventory in December was up 113% year-on-year, and asking prices have fallen by 12% since their peak. Fannie Mae predicts a "coming exodus of older homeowners" as Boomers die, downsize or enter retirement homes, which will dump a ton of housing stock on the market and crash prices, finally making homes affordable for millenials.